Home / What is Included Within a Commercial Gas Certificate? 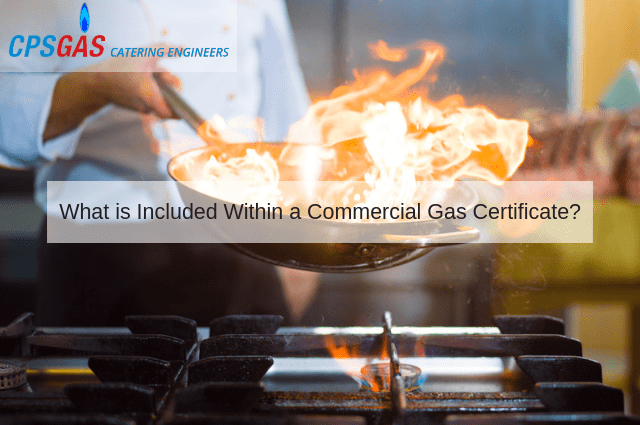 What is Included Within a Commercial Gas Certificate? Any business needs to ensure that on-site gas equipment is maintained to the highest of standards. According to the Gas Safety Regulations of 1988, such an inspection needs to be carried out once every year. Assuming that all related equipment passes, the premises will be issued a certificate. However, what is included within such commercial gas certificates? Let’s take a look at some of the information and aspects which are covered in order to better appreciate why it is a good idea to work with a professional inspection service. A list of the appliances that were tested. The results associated with such examinations. Any specific problems related to a piece of equipment or an appliance. The actions (such as repairs or replacements) that need to be taken. Information associated with the Gas Safe inspector. The name of the premises and the date of the inspection. Having said this, there are other areas which will normally require an in-depth examination to determine that they are functioning correctly. This is especially important when referring to commercial locations, as serious injury or even death could otherwise result. What Other Details are Present? An inspector will address specific systems such as carbon monoxide and/or smoke detectors, overhead extraction fans, pipework, and gas interlock systems. The results of such examinations will be placed within the report and explained to the owner so that he or she will be able to make the correct adjustments within a timely fashion. In the event that several appliances need to be altered or replaced entirely, another inspection will have to take place in order to ensure the safety of the establishment. There is no getting around the fact that businesses will require such a certification on an annual basis. Do you wish to keep your premises up to date? If so, please contact CPS Gas as soon as possible. We will be more than happy to answer any questions that you may have or to schedule a convenient time when we can arrive at your location.